We all lead very hectic lives and often we forget that we are simply human and that we need to take a break now and then. For life to be better, we need to stop, take a deep breath and just appreciate everything we have. Take a picnic lunch, sleep in the shade of a tree, look for pretty flowers, help a stranger, hang out with friends, and just be thankful for all the beautiful things this world has given us. Since we are always rushing to be somewhere, we barely set aside time for these things. There’s always more and more work to be done as soon as possible. So take a moment to just feel content and this can make you happier and less stressed out. We don’t all feel the same way about the work that we do. There’s a deep gulf between those who are living just to work and those who are working in order to be able to work. When people actually love doing their jobs, they become much happier. This happens because it doesn’t feel like their lives outside of work and their work lives need to be kept apart. They feel like they are necessary for work to be complete and they feel like they are doing something with positive outcomes so they feel happier. Quite a few just works because they have to but those who actually take an interest are more satisfied and tend to earn more income. 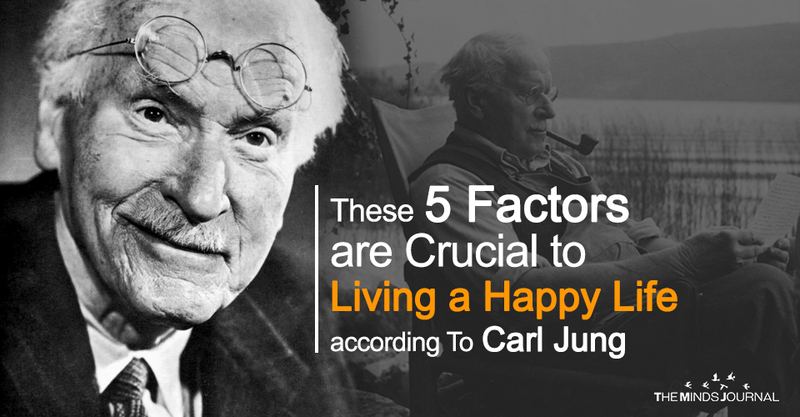 You don’t necessarily have to be part of a formal religion but Jung believes that faith in a concept that is bigger than all of us can make us happier. Knowing that death is not the end of everything can give us hope and help us through tough situations. When you are having a hard time finding happiness, focus on a particular part of your life that you can work and make better. There are times when this small effort you make to develop yourself or get out of a tough spot can satisfy you and make you happy enough to find the energy to move forward and get out of the rut you found yourself stuck in.